There aren’t any leaves on the trees, making it easier to see the structure of the tree. Trees suffer less shock from pruning due to them being dormant. Pruning can be done without causing damage to nearby landscaping from heavy equipment. What is pruning and should you do it? Pruning is the cutting of dead or overgrown branches or stems, which can increase the fruitfulness and growth of the tree. To keep the tree healthy and safe, it’s important to get your trees pruned. See a branch that looks problematic? It should be pruned before it becomes unstable and causes property damage. 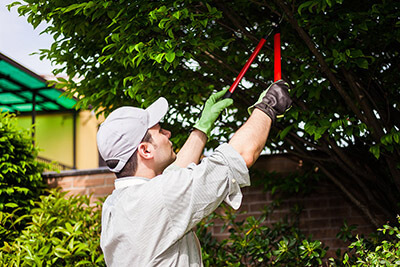 Although pruning seems like a pretty easy task, we highly suggest letting a professional do it. Pruning without proper knowledge and training can lead to accidents and cause long-term damage to the tree, causing it to get worse or die. At Big Trees, we are properly trained to safely prune and inspect trees of all kinds and know exactly which type of pruning needs to be done to which type of tree. If your tree looks questionable in any way, let us come out an inspect it, call us at (360) 563-2700 today. Nancy Penrose is owner of Big Trees Inc. (https://bigtreesupply.com), (tree nursery Snohomish, WA), one of the largest Seattle tree nurseries, specializing in large trees for sale and transplant tree service. Learn more about tree preservation at https://bigtreesupply.com/tree-care-maintenance/ and for more tips on tree care or installation go to privacytree.net. See our video at https://www.youtube.com/watch?v=A6vVhNW1XJI and connect with us on Facebook at https://www.facebook.com/pages/Big-Trees- Inc/193731105108.